Magazine: Yankee Doings, published four times per year. 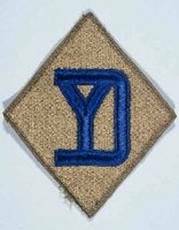 Membership: Regular; Open to all persons who served honorably in the Division, or the 26th (Yankee) Infantry Brigade Combat Team. Associate; Open to all persons. Dues: $25/yr. All members are assigned to their choice of one of our seven chapters. If you reside near a chapter, you may want to attend monthly meetings. Please use our downloadable Membership Application form to join the YDVA! In his classic book ‘Battle-The Story of the Battle of the Bulge’, John Toland dubbed Mon-Schuman “-- one of the most important crossroads in the Ardennes.”1 He recognized its criticality to the relief and retention of Bastogne in Belgium. But Mon-Schuman was also a key to much more of German-held Luxembourg. The fact that the Yankee Division fought long & tenaciously to secure it, & also liberated thirty one of Luxembourg’s towns, explains the Division’s honored reputation amongst the Grand Duchy’s citizens. It is also significant that while Belgium & Luxembourg each host dozens of Bulge monuments, Belgium’s National Battle of the Bulge Monument is at Bastogne, and Luxembourg’s is at Mon-Schuman Crossroads. In 1944, only two hard surface routes ran from the German border towards Bastogne. Both ran through Luxembourg’s Ardennes Forest. They merged into one road about six miles east of Bastogne, at Mon-Schuman Crossroads, near the hamlet of Nothum. With Luxembourg’s dense, mountainous forest impassible to vehicles, the Germans had to use that road network; first to attack and reinforce Bastogne, then to retreat from that city back to Germany. At all costs, they needed to hold Mon-Schuman Crossroads. Consequently, they fought desperately to retain it – principally against the 26th Yankee Infantry Division. In a see-saw brawl, between December 27th and January 2nd the YD secured Mon-Schuman at high cost. They held off the first German attack on the 27th, and mounted their own counterattack to take the nearby cemetery on the next day. A few days later, they attacked and took the café at the Crossroads, and 105 prisoners. But, the overlooking Hill 490 just to the north also had to be taken to secure the Crossroads. In the ensuing days, the Americans and Germans fought over it. By the end of December, the Germans held the north side, and the Americans, the south. On New Year’s Eve, white-robed Germans attacked southward three times from the hill, onto the Crossroads. 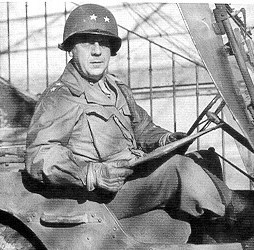 During the second attack, after his perimeter had been penetrated in two places, LT James Creighton, Fox Company 101st Infantry commander, called artillery in on his own positions. The supporting artillery officer objected, “For God’s sake, I can’t do that! Its inside the safety limit--’ In reply, Creighton yelled; ”Damn it, bring it exactly where I call for it – Its our only chance. We’re in foxholes and the Krauts aren’t.” “The Germans, caught in the open, were slaughtered by tree bursts. The survivors turned and ran --”.2 Fox Company started the Mon-Schuman battle with 176 men; at its end they numbered 27. Creighton was one of the wounded. For his valor he was awarded the Silver Star. 1John Toland, Battle: The Story of the Bulge (New York: Random House, 1959), p. 296. "When you initially attacked for seven days and nights without halting for rest, you met and defeated twice your own number. Your advance required the enemy to turn fresh divisions against you, and you in turn hacked them to pieces as you ruthlessly cut your way deep into the flank of the "bulge." Your feats of daring and endurance in the sub-freezing weather and snow-clad mountains and gorges of Luxembourg are legion; your contribution to the relief of Bastogne was immeasurable. It was particularly fitting that the elimination of the "bulge" should find the Yankee Division seizing and holding firmly on the same line held by our own forces prior to the breakthrough. I am proud of this feat by you as well as those you performed earlier. We shall advance on Berlin together." While commanding, one was an ordained Roman Catholic deacon – Nicholas Del Torto. An international airport is named after one – Boston’s Edward L. Logan Airport. Two were uncle and nephew: Edward L. Logan & Edward F. Logan. One was a judge before a general – Boston Municipal Court Judge Edward L. Logan. Five were West Point graduates, but six were Harvard graduates. While commanding the Division, three also commanded the Massachusetts State Police. One commanded through nearly all of WWI, was so loved that he was called ‘Daddy’, received the French Legion of Honor yet, because of personal animus, was the only AEF division commander General Pershing refused to decorate - Clarence R. Edwards. While serving in the Division, one earned the Distinguished Service Cross in World War I, and again in World War II –CPT, later COL, Dwight T. Colley. One immigrant posthumous Medal of Honor recipient's corpse was shipped home to Greece after World War I and defiled and scattered by the Turks. The remains were then recovered and buried at Arlington National Cemetery. – PFC George Dilboy. Chaplain Michael O’Connor’s sister’s nunnery sewed a regimental flag for Teddy Roosevelt, but when President Wilson refused to reactivate Teddy for World War I, she gave it instead to her brother’s YD regiment. It is displayed today in the church he built after the War. With the Division engaged in World War I combat, one loyal soldier kept going from YD unit to YD unit to avoid the grasp of doctors trying to ship him home for medical insufficiency – LT William Drohan. A Boston Globe newspaperman suggested the Yankee Division’s officially accepted nickname, then, over the strenuous objections of AEF commanding General Pershing, became the first ever embedded combat reporter-Frank Sibley. 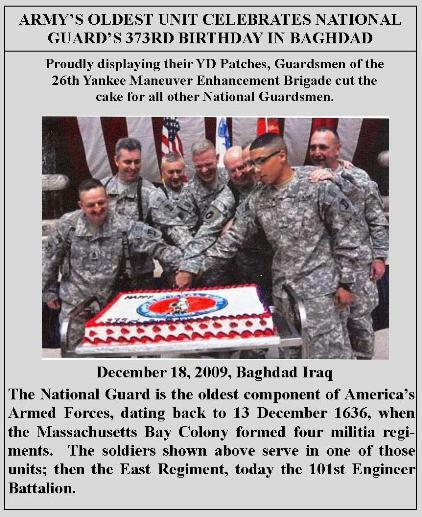 Four Divisional organizations were (and still are) the oldest in the American Army, dating to 1636 – The 181st Infantry, 182nd Cavalry, 101st Artillery & 101st Engineers. This site is best viewed with Microsoft Internet Explorer 7.0 or above.